In May 2018, the President signed Public Law 115-174, amending the Fair Credit Reporting Act and creating new consumer rights. Specifically, the law allows consumers to implement a security freeze on their credit file free of charge. The law goes into effect on September 21, 2018. 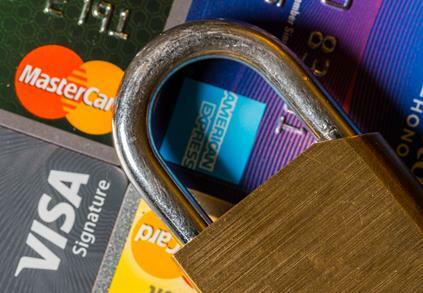 Identity theft among older adults is a serious problem in the United States. Scammers often target unsuspecting older adults and trick them into giving out their personal information, such as their bank account numbers or Social Security numbers. Once identity thieves have obtained this information, they can empty out accounts or open lines of credit using victims’ information. For example, Forbes reports that there is a currently-active identity theft scam targeting older adults in which the scammer calls a Social Security benefit recipient and claims that there is a problem with his or her account and the recipient’s benefits or assets will be frozen until he or she resolves the issue. In order to resolve it, of course, the victim is required to provide their Social Security number or other information that can facilitate identity theft. According to the National Center on Law & Elder Rights, a security freeze is the most effective tool to minimize the risk of identity theft. It allows a consumer to stop credit bureaus from releasing his or her credit report to third parties. When identity thieves apply for credit, the creditor typically requests a credit report from one or multiple credit bureaus. If the victim’s file has been frozen, the bureau will not provide a report, resulting in a denial and preventing the thief from successfully stealing the victim’s identity. While this new legislation will almost certainly prevent a large number of identity theft cases in the future, it does little to help people who have already suffered losses at the hands of a scammer. Fortunately, in many cases, the assistance of an attorney can help victims recover compensation for their losses. If you are a victim, it is important to understand that the criminal part of an identity theft investigation is completely separate from a civil claim to recoup your losses. For this reason, victims should speak to an attorney as soon as they can to protect their legal rights. If you believe that someone has stolen your identity and caused you financial harm, you should speak to a lawyer as soon as you can. With over 25 years of experience representing the rights of older adults and the elderly, the lawyers of Goldfarb Abrandt Salzman & Kutzin LLP have the skill and experience required to help you obtain compensation for your losses. To schedule a consultation with one of our attorneys, contact us online or send us an email through our online contact form.